-Updated UI interface.. Waiting for you comments! -Animation!! This function requires a lot of data. -Set desired Zoom and forecast as your home page. For all the people who cannot find the way to select another date/time... You can do it by click on the date or scroll your finger left or right..
MAJOR UPDATE For all the people having crashed at application start up. Please use this version (2.91) it should fix the problem. 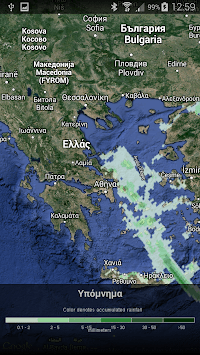 This application grabs images from Poseidon weather site. 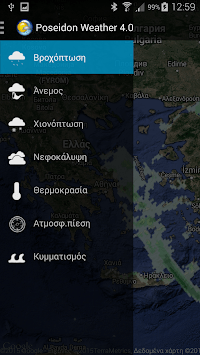 Poseidon weather service is very accurate and only for Greece. 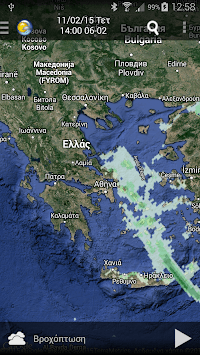 When it comes to rain, snow or wind my personal opinion is that the Poseidon is the BEST! -Slide up to show legend. -Press play to start animation.Be aware of data consumption. If there are any problems please contact me!